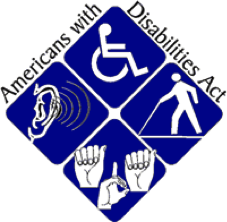 The Americans with Disabilities Act (ADA) is a law that was passed in 1990 with the purpose of eliminating discrimination against qualified individuals with disabilities. As an employer, we are required to make accommodations to known mental/physical limitations of a qualified employee with a disability unless it can be shown that doing so would create an undue hardship on the operation of the business, or fundamentally alter the nature of the program (for a student). The ADA does not require that we create a new job or to change an existing position's essential job functions. We are required to provide the accommodations necessary to assist an employee to perform the essential functions of the position, if it can be done reasonably. An employee must request an accommodation and provide adequate documentation of the disability. Access & Equity is available to assist in determining if the disclosed disability qualifies under ADA and if the requested accommodation can be reasonably made.